Active Play Therapies was set up in 2014 by two occupational therapists, Anna Willis and Amelia Bray. We provide occupational and play therapy to children, families and adults across Dorset. We specialise in sensory integration, mental health, behaviour, neurodevelopmental conditions (autism, ADHD), picky eating and relationships. 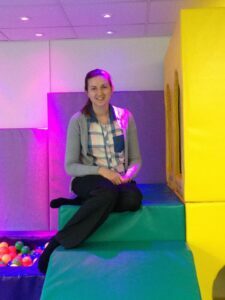 Anna enjoys playing, and believes that play is the primary occupation of children (and is still important in adulthood! ), so tries to incorporate a playful approach to therapy. Anna is experienced in training parents, carers and professionals in group and individual settings. Anna is particularly interested in children who are ‘picky eaters’ and has successfully worked with parents and their children to increase the range of foods they will eat. Amelia is an OT, who graduated with BSc (Hons) in OT in 2006 and is also a Certified Play Therapist, with a specialist interest in children and young people with mental health difficulties. Amelia currently works with children with learning disabilities who have mental health and behavioural difficulties. Amelia is experienced in delivering psycho education to parents, carers and professionals in group and individual sessions. Amelia enjoys working with children on a 1:1 basis but also believes that taking a family approach to particular problems is beneficial. Play Therapy assessments and Play Therapy individual sessions or group work for children with mild, moderate and severe mental health difficulties. Since qualifying as an Occupational Therapist in 2008 Marianne has gathered a range of experience working in a variety of different services- Adolescent Inpatient Mental Health, Education and NHS Community Child and Adolescent Mental Health Service. Marianne has coordinated the adolescent inpatient group therapy program and since her degree has post graduate qualifications in Sensory Integration Practice, Dyadic Developmental Psychotherapy (level 1) as well as Lego-Based Therapy. Marianne has a great deal of experience carrying out 1:1 therapy, group sessions, clinical/ managerial supervision, training and consultation. Marianne is a registered member of the Health & Care Professional’s Council and Sensory Integration Network. She is currently working in the Education setting alongside being an Independent Occupational Therapist. Marianne is able to offer a range of therapeutic interventions to meet the needs of complex young people. 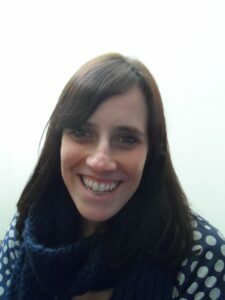 Kate has over 18 years experience as a qualified Occupational Therapist both in the UK and overseas. Working for the NHS since qualifying in 2000, she has worked in a variety of settings in Mental Health, Physical, and Autism services including inpatient mental health, community teams, drug rehabilitation and psychosis. Kate has worked as a specialist OT in the NHS for the Autism and Asperger’s Syndrome (AS) Service for over 8 years and has completed post graduate sensory integration training. She is a qualified SI practitioner with over 7 years of experience applying this to practice and using an Ayres SI therapy approach. Kate is experienced in assessing and supporting young adults with AS to gain confidence and take steps towards independence and work towards their goals. Passionate about supporting people to reach their potential, Kate can support adults with AS to fulfil work roles, having a wide range of experience in completing work assessments and advising HR/Occupational Health on reasonable adjustments for the workplace. Kate regularly delivers training on AS to groups of professionals, carers, people with AS and others using her experience and specialism within the field. Kate loves to facilitate groups for people with autism especially around sensory difficulties and employment. Registered as a member of RCOT and the SI Network. Faye has 15 years of experience working with Children, Young People and families with the NHS, across all “tiers” of Child and Adolescent Mental Health (CAMHS). She has worked extensively with acutely unwell young people who are in need of crisis and intensive home treatment, within inpatient and community settings. She has also worked with children and young people with mild to moderate emotional health needs within schools and clinics as a Primary Mental Health Worker. 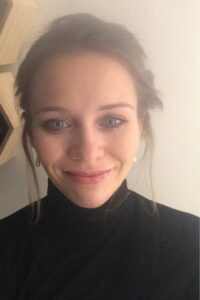 Faye is a qualified RMN who has undertaken additional training in Motivational interviewing, Dialectical behaviour Therapy (DBT) and has gained a Post Graduate Diploma in Cognitive behavioural Therapy from the Charlie Waller Institute at The University of Reading. She is registered with the British Association of Behavioural and Cognitive Psychotherapists (BABCP). Evidence-based Psychological treatment for anxiety disorders (including phobias, post-traumatic stress disorder, panic disorder), Obsessive Compulsive Disorder and related conditions, and depression. Understanding and development of coping skills to manage: relationships, destructive behaviours, intense emotions, sleep difficulties, stress, adjustment and loss. Since qualifying as an OT (occupational therapist) in 2013 Becca has gained a wealth of experience working in a range of inpatient and community roles within the NHS. 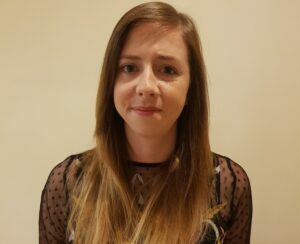 Becca has been working in community paediatrics (children’s therapy) for the past 2 years and experience working with children with Development Coordination Disorder, Autism Spectrum Disorder and Cerebral Palsy. Becca is a member of the Sensory Integration Network and has completed the first module on her way to becoming a Sensory Integration practitioner. 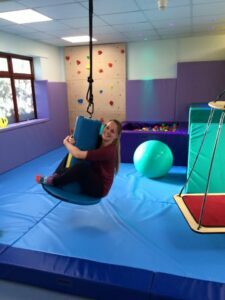 Becca has an interest in using both sensory and motor based approaches in therapy to promote independence and function for children. Becca is able to offer a range of assessments and intervention strategies to meet the needs of children and young people. Becca is able to offer Saturday and week day evening appointments. Since graduating with a BSc (Hons) in Occupational Therapy in 2000, Jo has gained more than 18 years of experience working as an OT in the NHS. During this time she has worked with Adults with a range of Learning Disabilities and neurodiverse conditions including Autism, Dyspraxia and ADHD in a variety of settings. Jo currently works as a specialist OT for an adult Asperger’s Syndrome Service where she is passionate about helping individuals to live well with their diagnosis. 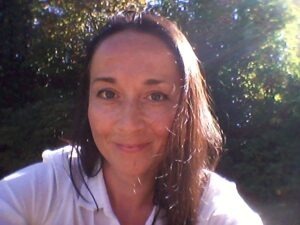 Jo has post graduate training in sensory integration therapy and is a qualified SI Practitioner, with over 10 years experience of using this approach in her practice. Jo is experienced in assessing individuals with Autism (with or without a learning disability) and working with them as needed to develop their skills, for example in the areas of daily living or employment. She has regularly provided support to young adults in colleges or higher education and has a particular interest in helping those with AS to understand and overcome social communication challenges. An experienced trainer, Jo regularly delivers training to professionals, carers and those who have been recently diagnosed with an Autism Spectrum Condition wanting to learn more about the condition. Standardised assessment of daily living skills (e.g. using AMPS) and reports/recommendations for care needs or benefits assessments such as PIP.